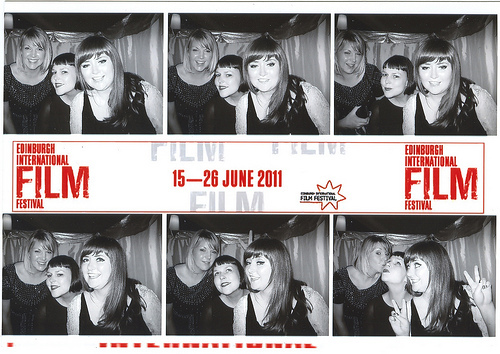 Last night we got dolled up, and headed out to the opening night of the Edinburgh International Film Festival. I'm a big, big fan of the festival, and have been feeling quite sorry for them lately - the local press has been quite harsh in predicting potential doom & gloom, but I think they should get the benefit of the doubt! Anyway, the opening film was The Guard. I really liked it & so did most of my friends (with lots of laughter from the audience throughout the screening), but reviews have been really mixed in the press. Everyone agrees that Brendan Gleeson was brilliant though, everything a grumpy Irish garda should be. Guard faces. Me, Biddy, Adam, Rae & Adam's mam! Post-film we headed up to the party at Teviot (my old union!). 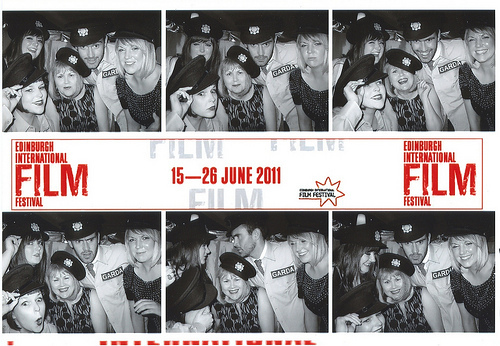 The party was stripped back a bit, so there were no red carpets, but they had our favourite thing from last year - photobooths! 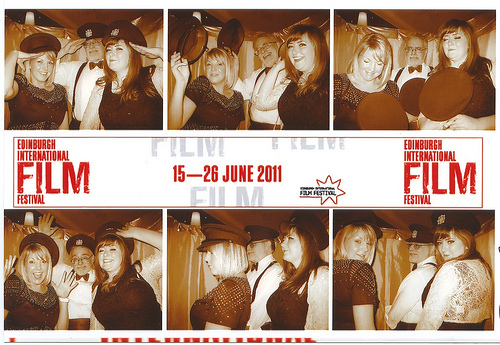 Rae & I with the photobooth man - he is a posing champion! I'm not ashamed that I went up for more photos than anyone else there. It is BRILLIANT. Persuaded Adam (aka Cub) to do bear faces. I'm CLEARLY doing bear ears there. So that's it - EIFF is now running, the Fringe programme is out, the Book Festival launched today..... SO MUCH TO DO. It will be August in a blink. I'm going to hibernate tonight in preparation. 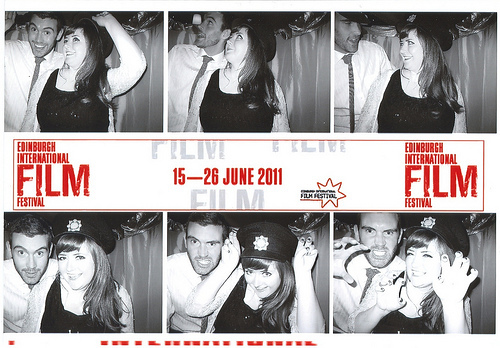 Photo booths are the best places to goof off. A: You feel like no one can see you because it's such a small space and B: You get a memory of all the fun printed on paper.